Stained glass window found in the church at the front of the sanctuary. 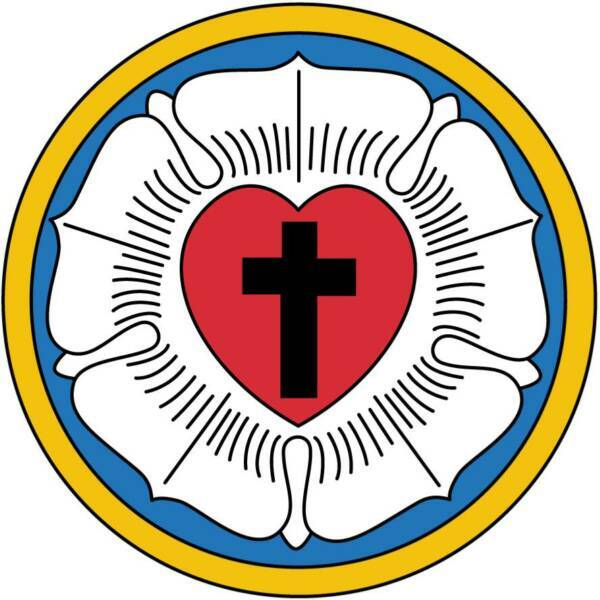 We are a small conservative Christian congregation in Hudson Colorado and are affiliated with the Lutheran Church Missouri Synod. We believe the Bible to be the inspired, inerrant word of God. Jesus' Command to "Go ye therefore" is always on our hearts and minds and in our prayers. Everyone is welcome to come and worship with us. You will find us to be friendly and happy to meet you with very intimate surroundings such as the beautiful stain glass window on the left adorning the front of the sanctuary. If you just want to visit, that is O.K. Your presence alone is a blessing to us. We believe that God supports us through the regular giving of our members, therefore, we ask visitors not to feel obligated to give an offering. Since we are not very large (attendance around 35) there is ample opportunity for you to join us and discover how God can work in your life to the benefit of His people. ​Christmas Evening Worship, Dec. 24th 7p.m. Want to learn more about Creationism?